Our nation will be 240 years old on Independence Day this July. Over those many years we have faced many conflicts that required the service of our brave men and women in battle. Today, February 19th has been declared as “Iwo Jima Day” by Governor Charlie Baker. Iwo Jima, an island of only eight square miles and within striking distance of Japan, was held by 23,000 Japanese soldiers and navy men during World War II and became the site of a five week battle that produced exceedingly high casualty rates. 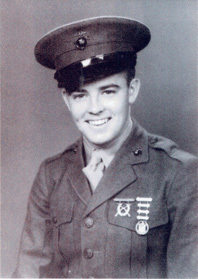 The U.S. Marines fought hard with three divisions against an enemy using a network of caves and tunnels and underground arsenals and sustained losses of as many as 7,000 dead and 17,400 wounded. 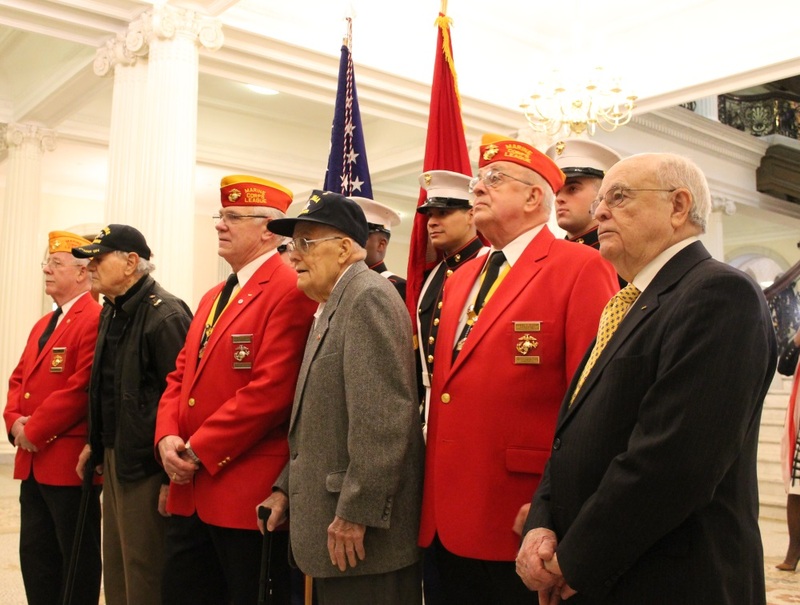 Larry Kirby, a now 92 year old, recalled today at the State House what it was like to be a Marine in the middle of a fight where he lost 22 close friends. "I visit them every day in my mind," he said. "All those young boys - they didn't just die, they gave their lives." Larry lives in Manchester by the Sea and we are friends. His experiences on the war-torn island are remarkable. He was an advance scout, an expert in locating the enemy and this of course meant that he was often exceeding close to them. He survived every form of assault in his service from bullets to hand grenades. He joined Senator Mike Rush, a Lieutenant in the United States Navy, and other veterans of Iowa Jima in Memorial Hall for a special ceremony to honor those who fought and those who gave their lives for their nation. Semper Fidelis.